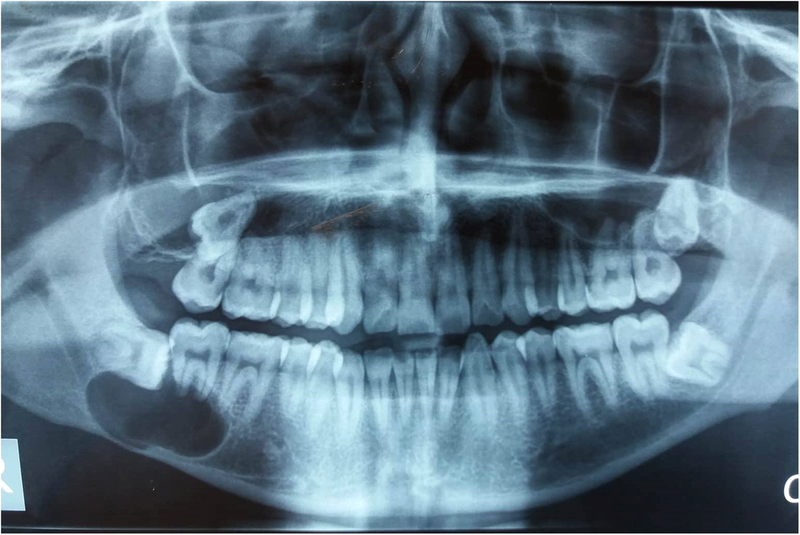 Orthokeratinized Odontogenic Cyst (OOC) is a rare, developmental odontogenic cyst which was considered in the past to be a variant of keratocystic odontogenic tumor (KCOT). 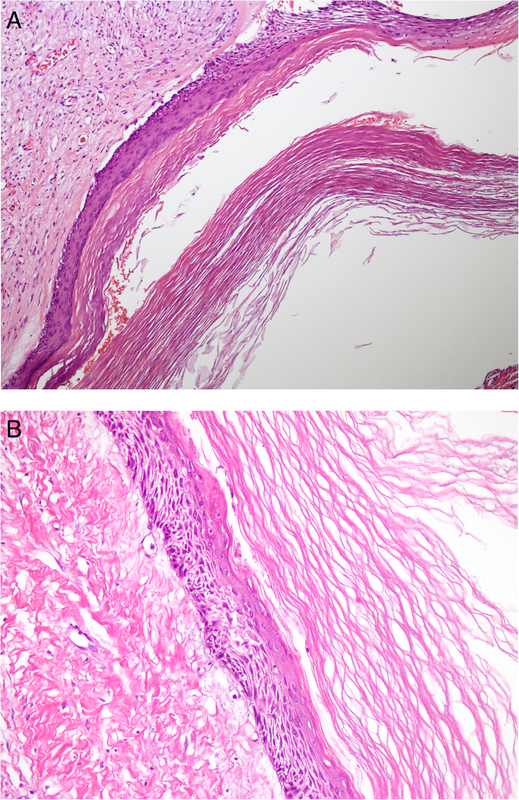 In 1981, Wright identified it, owing to its different histology and relatively low recurrence rate, as Orthokeratinized variant of odontogenic keratocyst (OKC). However, it is now clear that OOC is a distinct entity. The treatment of OOC is by enucleation. Prognosis following enucleation is excellent and recurrence following enucleation has been reported in less than 2% cases. On the other hand, OKC or KCOT has a recurrence rate between 8 and 25% after enucleation and larger lesions require surgical resection. Thus it is important to differentiate between the two entities [1–6].